I grew up in the 90's when the NBA allowed fouls and tough defense. I've had the pleasure of working with a great team at ballislife for over a decade. We carved out a new category in the sports world from scratch and by the way MJ is the best of all time. LeBron James is the best of his era, enough with the comparison. 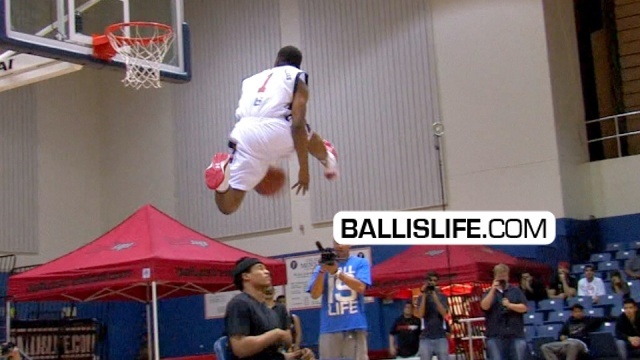 Check out the first ever Ballislife All American Dunk Contest presented by Young & Reckless featuring some of the BEST dunkers in the 2011 class like: Jahii Carson, Amir Garrett, Nick Johnson and Ike Nwamu, Collin Woods, Bruce English, Jordan Green, Keaton Miles and Stephen Maxwell. After an impressive first round of dunks, Amir and Jahii moved on to the final round. Amir Garrett came out as the winner.